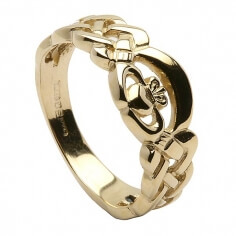 Celtic knots form the sides of this 10k gold band that lead to the Claddagh design in the center. The heart of the Claddagh holds and emerald and above that is a line of cubic zirconia set in a white gold rail. 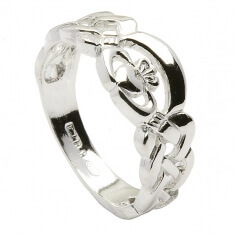 Handmade in Ireland and wonderfully presented in a luxurious ring box. 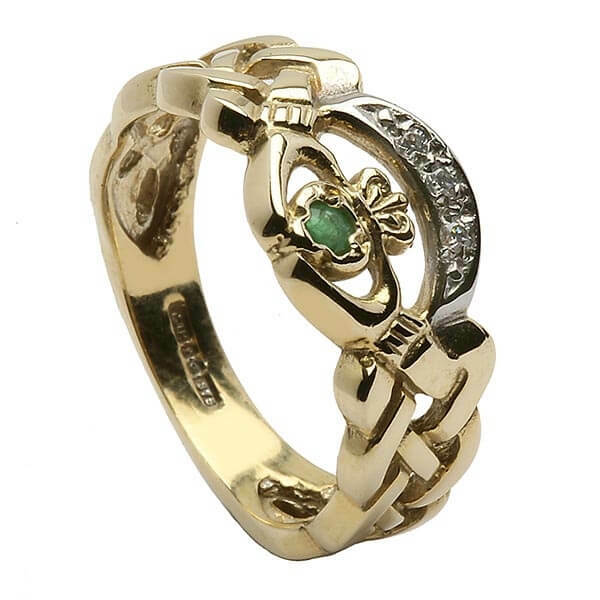 Your ring is available in 10k gold and will be hallmarked by the Dublin Assay Office - your mark of quality.